This weekend (24 & 25 February) saw line closes on the Brighton mainline and through Redhill to allow Network Rail to carry out necessary track improvement works. Having seen the advance notice provided by Southern Rail of the shutdown and that on Sunday – specifically all Gatwick and South Cost bound passengers from London would be terminating at Redhill to transfer to busses – we wrote to Southern/Gatwick Express/Network Rail to warn that Redhill station couldn’t cope with the number of passengers arriving or that there would be enough trains for onward travel for those returning to London. Sadly, despite replying to our emails they didn’t listen or take any further action. And seeing what has happened this weekend – especially today at Redhill Station – Our Chairman Stephen Trigg has written again asking that they listen and take action. Running the railway on a shoestring staff wise to maximize profits for the companies that own the TOCs. GWR usually run their own buses between Reigate and Gatwick, which avoids both Redhill and Three Bridges. This time the trains were going through to Redhill, but the buses were running from Reigate. GWR were, as usual, running their own buses between Reigate and Gatwick, which avoids both Redhill and Three Bridges. Network Rail should do the responsible thing and suspend the works pending an investigation into Southern's ability to manage the situation. I've no doubt that this set up was resourced to the bare bones as with every other part of the railway. As a (former) daily commuter on the line there have been several occasions of extreme overcrowding in recent years that I'd define as a near miss and should have been investigated. I wasn't there today but my wife was, she returned home after a five hour journey from Victoria this afternoon feeling pretty distraught after this afternoon's events . To Update everyone, Angie Doll (Passenger Service Director Southern) called me firstly to apologise of course and to thank all the people of Redhill who took their cars down to the station and gave lifts. Great people, well done you have our thanks too. We then had a conversation about next week, she agreed that a better replacement bus service was needed and would provide next week. We also suggested Gatwick Passengers being sent to East Grinstead to spread the load and she said she would look into. We also pointed out that the trains were inadequate for capacity as well and she took that on. Hopefully we will have an update next week. On the face of it, it ( the chaos at Redhill) looks like an entirely foreseeable outcome that could have been avoided. The parties involved (gtr, southern, NR) have no interest in, or commercial incentive to, make arrangements to provide anything for the people who pay to use their services, let alone in adverse or unusual circumstances. The economic model is not fit for purpose. (As we know, but this is further evidence). What are the consequences of yesterday’s fiasco for anyone at NR, gtr or southern? Let's be absolutely clear where the blame lies. It's with Chris Grayling and Jo Johnson - their departments micromanagement and criminal underfunding of GTR under the Management Contract is the root cause of all the issues. Politically it is very small in their daily work as they look after trains cars and planes all over the UK. We need local representation to run our trains services like TfL in London where Sadiq is directly responsible for Londoners trains services and accordingly accountable. Planning wise it looks like around 750 bus seats per hour were put on to replace over 2500 train seats per hour (thats not counting thameslink). How could this ever have worked? In answer to that latter, amazingly, it could have worked. From personal experience, passenger numbers shrivel when the journey is degraded to a rail replacement bus ... perhaps one passenger on the bus for every 4 or 5 who would have been on a train. I suspect that whoever was planning for Redhill knew this general rule of shrinkage, but neglected to take into account that the rule isn't a fixed one - people are likely to not go / find alternatives on short journeys which are leisure, but still have to make their long distance trips and especially need things like connections to Gatwick Airport! They need to know it's going to be a replacement bus though, presumably, for that effect to have, er, full effect! The Online Journey Planners weren't doing an "SWR" at any point were they (phantom trains advertised that will never run due to engineering work)? People planning their flight/getaway may not have accounted for that level of misinformation if that was the case. It wasn't - as I said above, I knew last week - it was being advertised. Were phantom trains being advertised *at any point* though? (I don't expect you to know that of course!). Passengers endured yet more "chaos" at Redhill station on Sunday (March 11) as they struggled to board replacement buses. Major engineering works between Redhill and Three Bridges meant passengers had to travel by bus between the two stations. But in a near repeat of the problems at the station on February 25 , passengers said the queuing system was "complete madness". One passenger tweeted: "The queue lines don't make sense. There are plenty of staff in high-vis but no one knows what is going on. He added: "People are walking in front of vehicles. No one is in charge. No one counts people onto buses, they overfill and then have to take some off." Several passengers also complained of drivers taking them to the wrong location. 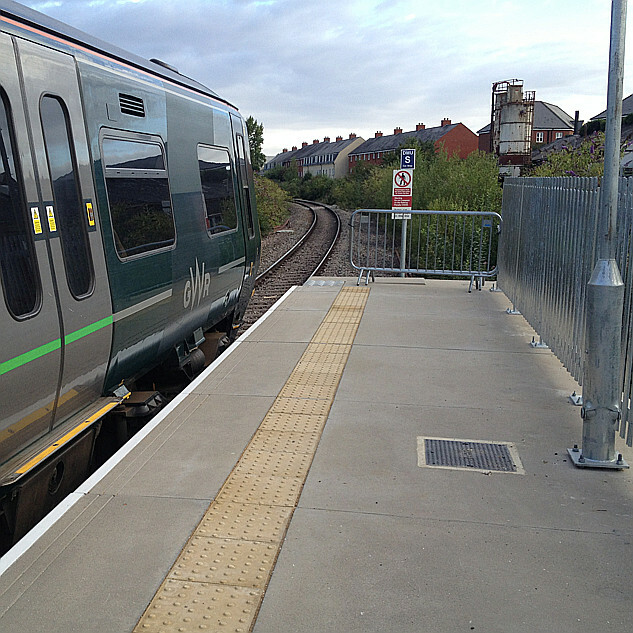 Alex Lowden tweeted to say a driver took them from Three Bridges to Gatwick , rather than Redhill, doubling the journey time. He said: "The driver was then very surprised why an angry bus load told him we want to go to Redhill when no one got off." Sounds as if someone couldn't organise the proverbial you know what in a brewery! It's not only really bad for the passengers..... I really feel for the front line staff who have to put up with tirades of abuse and who must feel like jacking it all in, because of somebody else's incompetence who isn't there to face the music with them.